The best solar and lunar eclipse calendar in the app store! 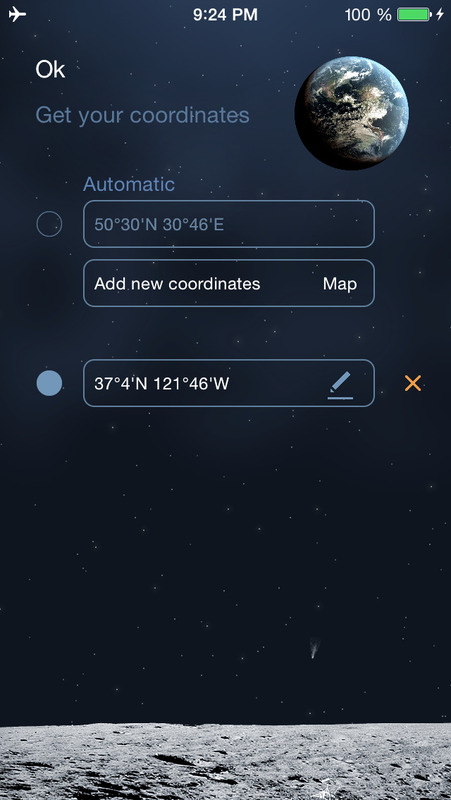 With this app you can learn when partial or full eclipse happens at any location in the world. The app contains a brief explanation of eclipses. If you want to learn about the Moon more, please refer to Deluxe Moon Pro for iPhone or Deluxe Moon HD for iPad. For moon gardening tips refer to the Moon Gardening app. [+] Current location detected by GPS. [+] Share info about eclipses with your friends. We appreciate your input. Please help us make this application better - visit our website to see more screenshots and videos and let us know what new features you would like to see. If you like the app, please write a review in iTunes. Your support would greatly help!